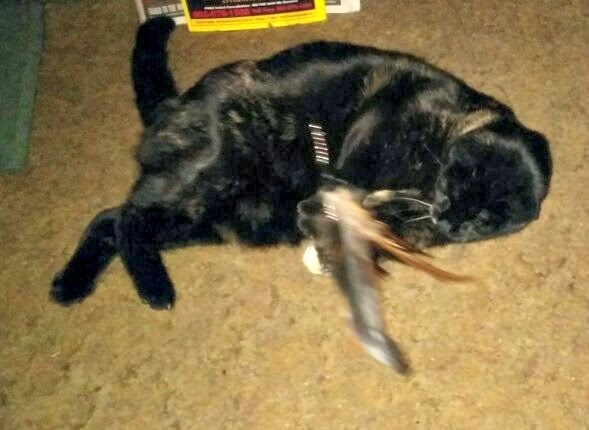 Last week we told you about the Natural Pet Company's catnip, this week's feature is their 32" Interactive Feather Wand Cat Toy. 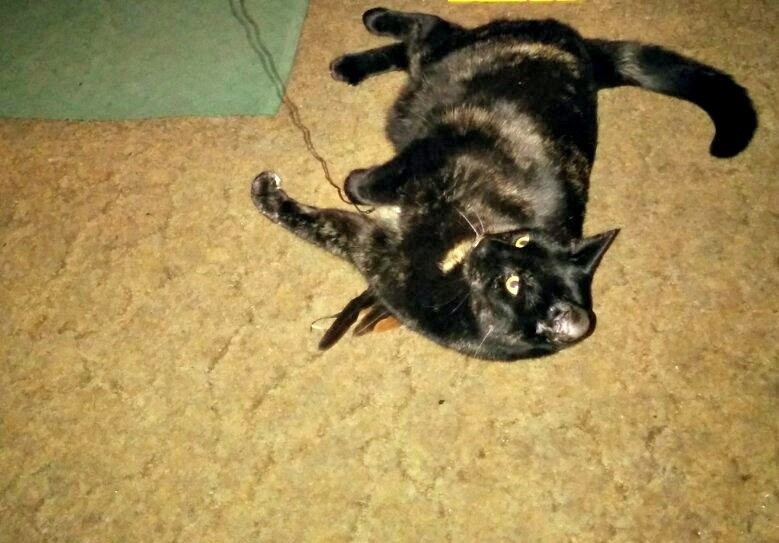 I think wand toys are just about the perfect toy for cats and the people that love them. These feathers are the best imitation of a bird's feathers that I've ever seen which is just the thing to bring out a cat's basic hunting instinct. This toy makes Truffles so, so happy...and it makes me happy too because it's an interactive toy that creates beautiful bonding moments every time I pick it up. It's something we can play with together. 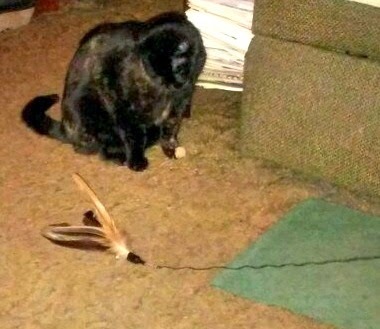 Truffles is very gentle with her toys, so with two refill feathers included this will last her a very long time. The Natural Pet Company gave us the toy to review but we were not compensated in any other way. All opinions are our own. Looks like a furry good feather wand toy ! What a fun toy! We'll be reviewing it too in the future. Looks like a fun toy; feathers make everyone a little nutty around here. 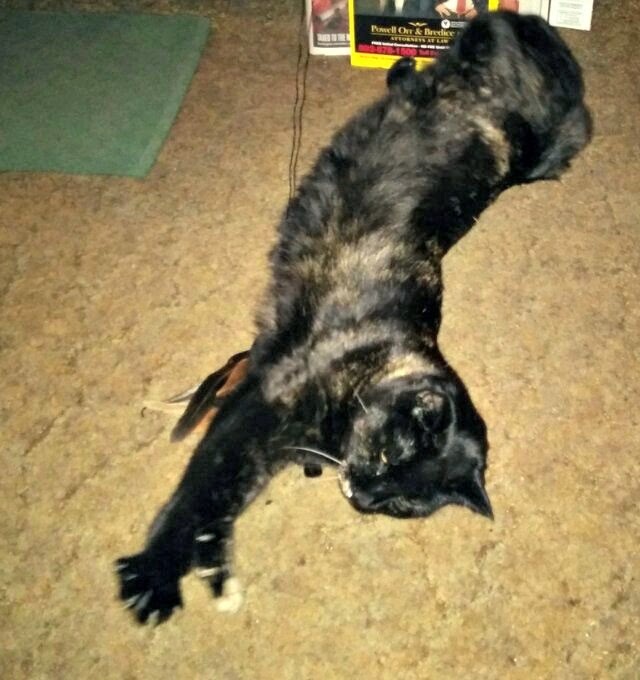 Truffles put the tortie on that toy! BAM! - Crepes. Great review. Does she jump for it or just bite it? It looks fun but I usually just bite the string and not the feathers. We love wand toys over here too! That looks like a great one! Oh, that looks like super-fun!